Recycling, upcycling, reusing… different terms to actually support the habit of converting discarded objects, waste, neglected materials into something reusable and/or something of a higher quality or value than the original*. 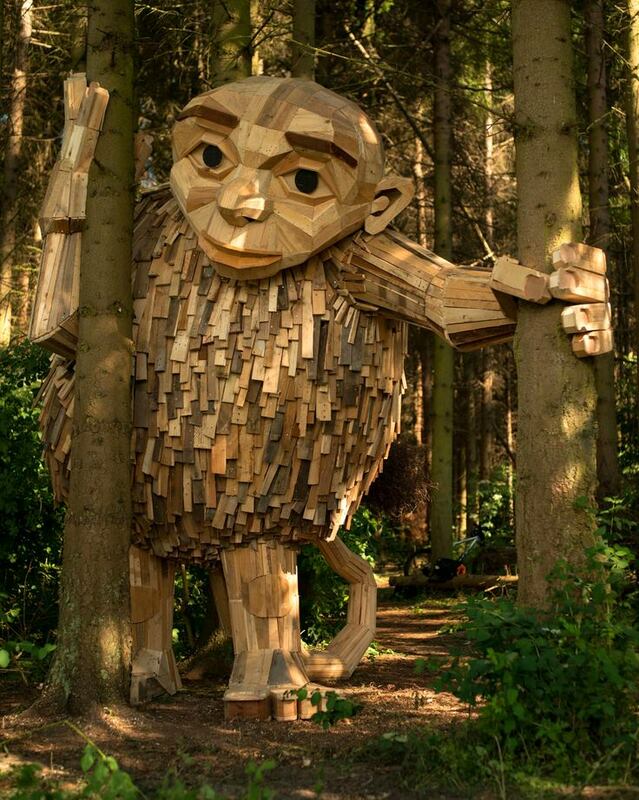 The Danish designer and street artist, Thomas Dambo, works global though uses local recycle materials to engage small and big art installations inside and outside. 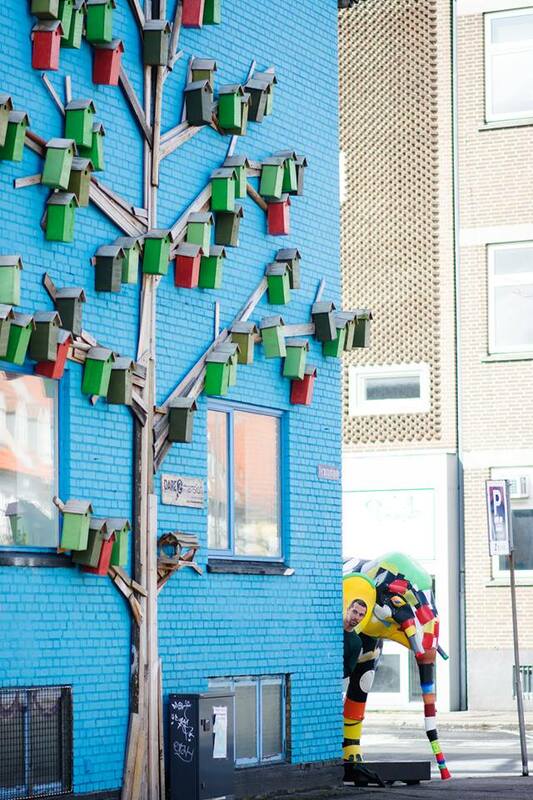 For this latter one, he started from an early age with treehouses in his neighbourhood using what he could find. He became more conscience on what surrounds us all, trash ! 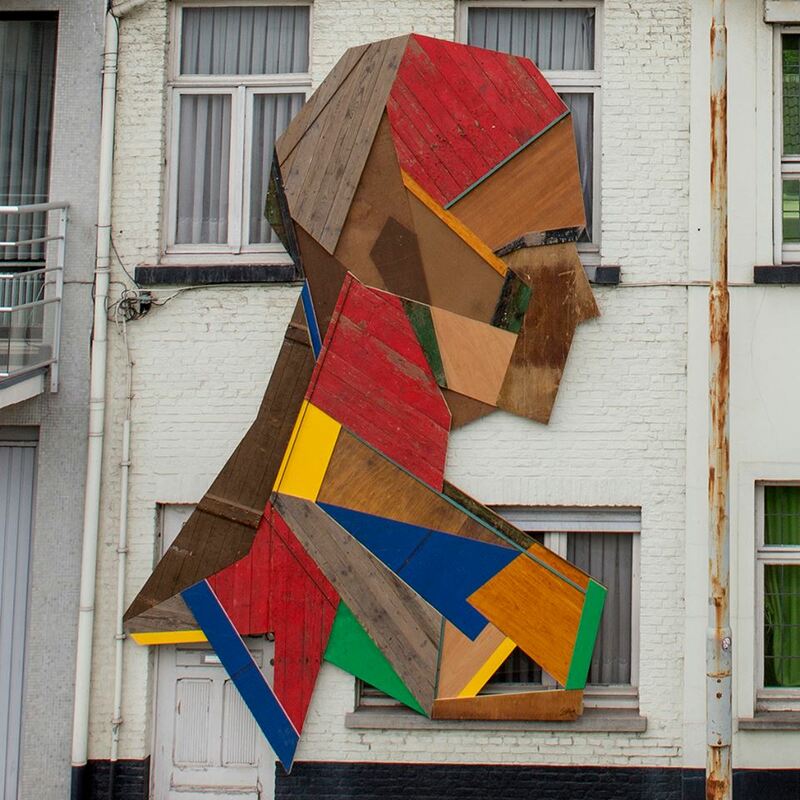 And this was the beginning of different wooden series on walls or installed in public spaces. He and his team always try to involve local communities in the process and/or product. 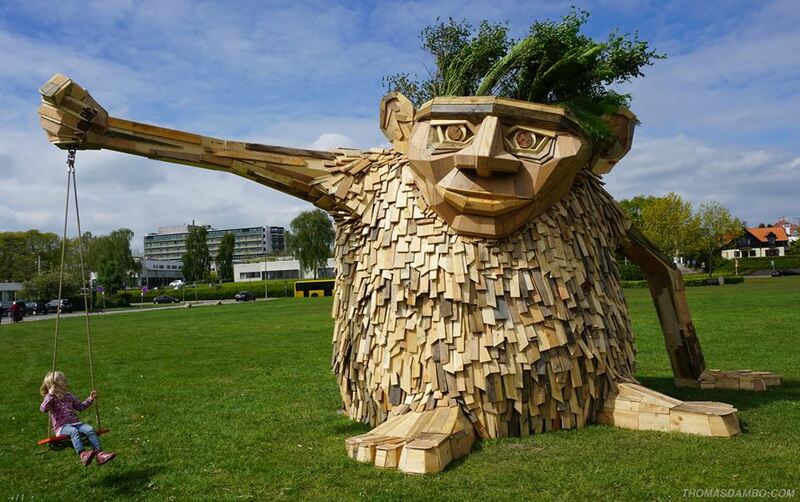 Like this he hopes to inspire people «to play with the worlds leftovers, see the possibilities and have fun». 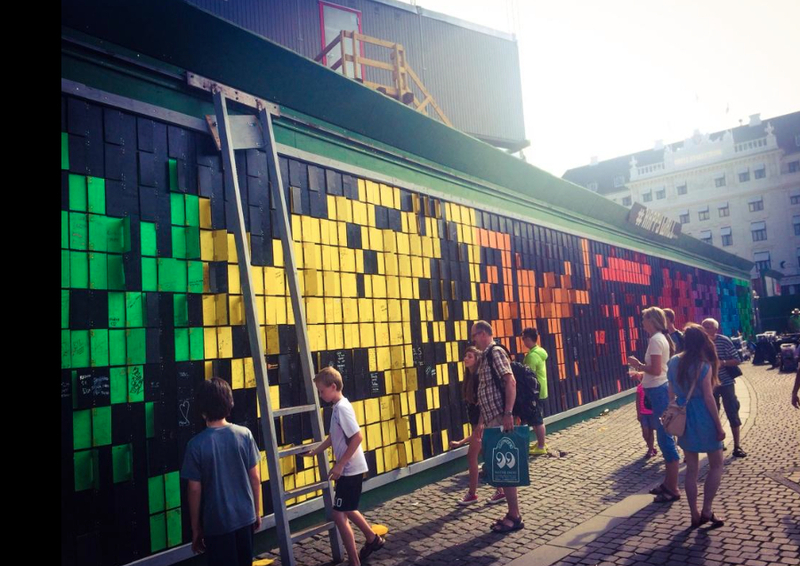 Another example of those participatory art installations is the «Happy Wall». An interactive pixel installation containing various colours, that need to be flipped, to make different patterns. It invites each one passing by to create his/her personal message out there. Here you have an example of different artists playing with that same wall in Copenhagen. A peculiar reasoning reasoning behind this installation is reclaiming that part of public space that is normally reserved for multinationals, big brands, and other cooperations. 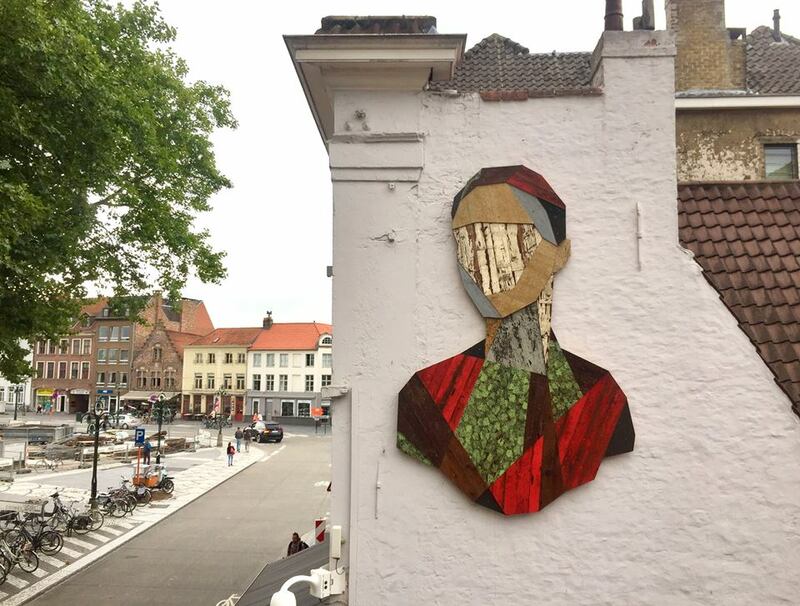 Another wooden wonder is Stefaan De Croock aka Strook. He is a multimedia artist based in Bruges, Belgium. 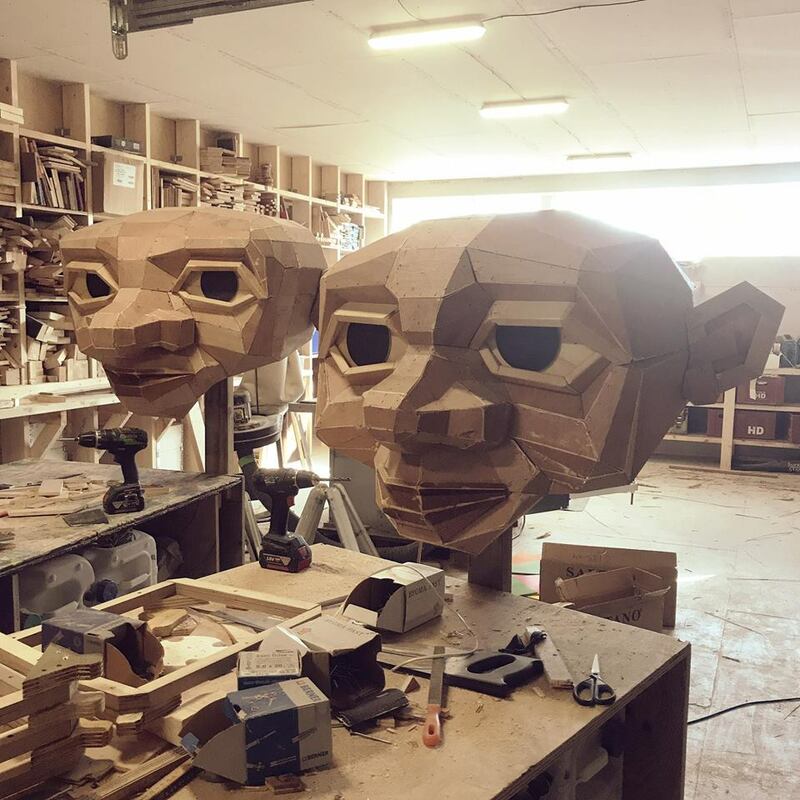 He studied grahic design though he developed his own particular perception on upcycling founded materials along with the knowledge of his father, a known wood worker himself. 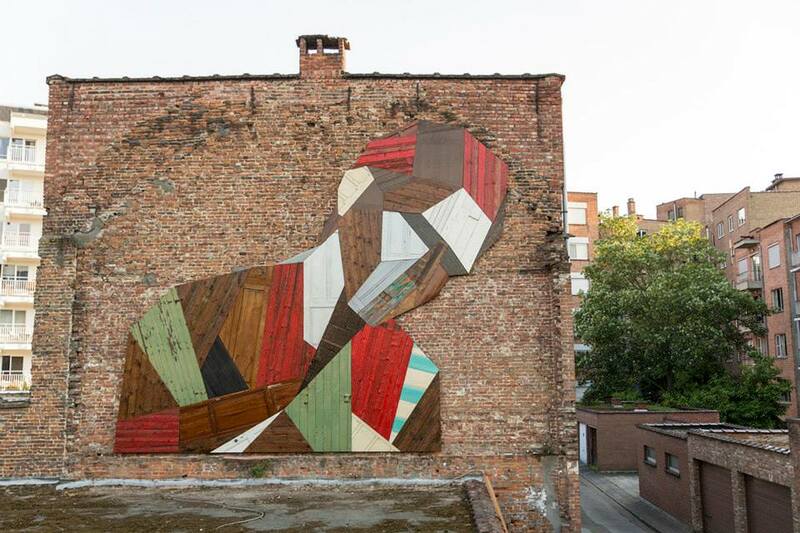 From drawings on paper, paint on walls and wooden sculptures throughout the city, he plays with dimensions and structures. Each revealing their own story. A kind of «organic art» where the piece fits along its surrounding in forms and lines in a search of matching improvisation and construction. This entry was posted in Blog, Do It Monday, Social footprint and tagged art, contemporary art, diy, do it monday, do it yourself, happy wall, organic art, recycle, recycle art, reuse, scrap, sculpture, street art, street art installation, strook, thomas dambo, upcycle, urban art, wood, wood design, wood sculpture, yesyoucanspray. Bookmark the permalink.